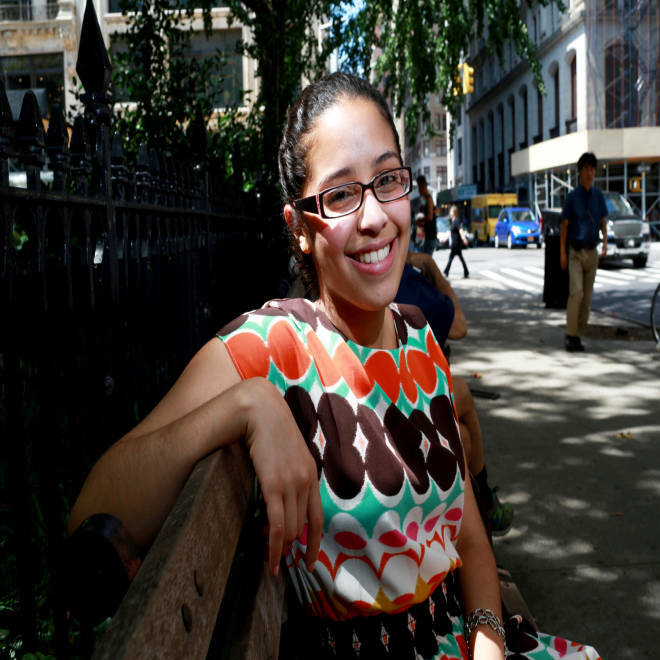 Yelky Perez, who said she illegally entered the country from the Dominican Republic at 13 to reunite with her family, will join hundreds of thousands of other young adults on Wednesday as the Obama administration launches an initiative that will prevent deportation temporarily for those who qualify. NEW YORK -- When Yelky Perez heard that immigration authorities had released the application that could let her stay in the U.S. legally a day earlier than expected on Tuesday, she went straight to their website and hit refresh until it showed up. Perez, who entered the U.S. illegally from the Dominican Republic at 13 to reunite with her family, is hoping to join the hundreds of thousands of other young adults expected to apply for the Obama administration's “deferred action” program, which will give two-year work permits to some young illegal immigrants. She said one of the forms looks straightforward, with no tricky questions, though she does plan to consult a lawyer. Applications, which also include an employment authorization form and a worksheet, won’t be accepted before Wednesday. Some 937,000 people brought here as children might immediately qualify for the program, which was outlined in a government memorandum in mid-June. Another 426,000 age 15 and under could, too, if the program remains in place, according to a recent analysis by the Immigration Policy Center and a consulting firm. The states with the highest number of likely recipients are California, Texas, Florida, New York and Illinois. Arizona Gov. Jan Brewer responds to President Obama's immigration policy announcement in mid-June. The initiative appears to be a bid on President Obama’s part to provide temporary relief to those eligible for the Dream Act, legislation aimed at those brought to the U.S. as children that has stalled in Congress. The program has been cautiously welcomed by advocates as a first step toward immigration reform, but criticized by others as an amnesty that could become permanent. “This is the kind of thing Congress is supposed to decide and yet what the White House has done is unilaterally implement its own amnesty program,” said Mark Krikorian, executive director of the Center for Immigration Studies, a Washington think tank. “The idea that this is just a temporary halt in deportation and what not is complete baloney. These people are all going to get employment authorization documents, work cards and social security numbers, and supposedly it’s for only two years. "… we have other temporary immigration programs and what we’ve learned from that is there is nothing as permanent as a temporary immigrant. Anybody who actually gets this program is here for good, period,” he added. Immigrants must meet certain criteria to qualify, including: arrival in the U.S. under the age of 16; no older than 30 today and no younger than 15; currently enrolled in school, graduated high school or served in the military; have been in the country for five continuous years; and have a clean criminal record. Yelky Perez, 20, in Albany for an immigration reform rally in 2012. At the New York Immigration Coalition, advocates have been deluged with calls from those who could potentially qualify. Perez, a college graduate who works an under-the-table job (she has a taxpayer identification number and pays taxes, as does the rest of her family), hopes to resume her studies to become a surgeon. She dropped her pre-med program in college because she decided it would be too hard to practice medicine in the U.S. due to her status. There are risks with coming forward, however, Esposito said. President Obama announces in mid-June that the Department of Homeland Security will no longer seek the deportation of many young illegal immigrants. Perez speaks confidently about what she has accomplished since she coming here in 2005: She quickly learned English in New York after her arrival and graduated as valedictorian of her high school class at 16; she completed college with the highest GPA in her major of public affairs (her studies were paid for by a benefactor). She also interned at the immigration coalition. But there have also been lows, too. Though Perez said she knew she was coming illegally, she had no idea the challenges she would face: an inability to pick up mail in one’s name at the post office, how hard it can be to get paid a decent wage, and the difficulty of obtaining a government-issued identification. She also can’t go to the Dominican Republic to see her extended family, and the fear of deportation looms constantly. Perez’s father, Julio, said he brought Yelky and her brother, now 23, to the U.S. with hopes of a better education and a better future (his oldest daughter came on a humanitarian visa; his common-law wife is also from the Dominican Republic and doesn't have legal status, Perez said). “I never thought it would take so long for her and that it would be such a difficult path,” said Julio, who only wanted to be identified by his first name since he is in the country illegally and fears repercussions. He alerted his daughter to the administration’s announcement of the program on June 15. Perez, who has married a U.S. citizen (though that won’t help her immigration status for the time being, since she entered the country illegally), said she is concerned about exposing her parents to immigration authorities in the application process. NBC News' Natalia Jimenez contributed to this report. Comments? Questions? You can email the reporter at miranda.leitsinger@msnbc.com.